We can all write blog posts without a doubt. I’m sure most of you can write some great content as well. But seriously, unless you do the right keyword research, there isn’t much point in writing great content if nobody will see it. This is why it’s so important to ensure you are doing the right keyword research so that not only will you write great content, it will also rank well on the search engines so you get plenty of traffic to read it. Simply put, a keyword is a word or phrase that someone puts into a search engine like Google. People are typing in keywords or phrases to try and find things they are looking for online so there are a lot of different keywords as you might imagine. I believe there are around 4 million searches on Google per minute worldwide – just try getting your head around that one for a minute – that’s 240 million searches an hour. The main thing you need to understand is how to utilize these keywords to get traffic to your website. High ranking on the search engines drives traffic to your site – the people searching your keywords. I cannot express enough how important keywords are to your business. They are the starting point of your ranking and potential traffic. Without this, your business cannot thrive. Keywords are your way of capturing RELEVANT and engaged visitors to your site. By the word relevant I mean driving people to your site that are specifically looking for what you have to offer. You do this by using the right keywords with relevant content. As you will find in my posts, most of the keyword research keyword tools are really good, it’s just that Jaaxy offers that little bit more detail that I like to see and that’s why it’s my number one choice. Don’t be scared of keywords or think that you won’t be able to find any that will help you rank well on the search engines. It isn’t uncommon for people to think like that – just take your time and you will get it. Here is an example of how I would research my keywords. Remember, make sure they are relevant to your niche. How to Find Keywords on Google post. It’s very straightforward. I use this before going into a keyword research tool like Jaaxy. I can now start to expand on these terms to find more keyword ideas to plug into Jaaxy. By narrowing down to Ultra Running Shoes we have another 6 suggestions to plug into Jaaxy. And with Ultra Running Training we have at least another 6 ideas. With starting with just the basic Ultra Running keyword search, Google has suggested at least 15 ideas I can go away and check out on Jaaxy. This took less than a minute to do. Just think how many ideas you could come up with in 10 minutes that you can go away and investigate further. As I said earlier, you want your keywords to have low competition and be able to rank well on the search engines. With this in mind you need to consider the following factors when using Jaaxy. The Keyword must get some traffic – Ideally you should look for a Keyword that gets over 50 monthly searches (this might seem small, but if you wrote 100 posts with 50 monthly searches you’ve just generated 5,000 visitors a month to your site. Under 100 QSR (Competition) – As a new website, the lower the competition the better. I try to aim for under 50 if I can, but 100 is fine. The Keyword needs to make sense – It should be written as it would be said – and be grammatically correct. “shoes running ultra” wouldn’t make sense – “ultra running shoes” does. Within Jaaxy, I can now start to feed my search terms I found in Google and see if they meet the criteria outlined above. By typing in the search term Ultra Running Shoes, Jaaxy has shown me 4 keywords that meet my criteria. They are actually very good because the traffic is ok, but the competition on 2 of them is really low which is fantastic. I have also typed in ‘Trail Running Shoes for Wide Feet’ which was also an idea Google gave us above. Once again, a few ideas have been shown to have decent traffic and low competition. I literally 5 minutes, I have 6 or 7 individual post ideas that I know have traffic and very low competition. Within an hour you could probably find 6 months worth of posts for your website – so who says Keyword research is hard. I hope this post has given you an insight as to the importance of keywords research. It isn’t the most difficult thing to do, although I know others try to tell you it is. It really isn’t at all. You have just witnessed me finding good traffic, low competition keywords in a matter of minutes. Nothing was pre-meditated, I literally decided to go with Ultra Running as I was writing the post. If you have a Niche but are struggling to find keywords then let me know. I’m happy to help. For training like this and everything to do with Affiliate Marketing I promote Wealthy Affiliate. It’s where I started and it’s a truly amazing training platform for everything Affiliate Marketing and Blogging. As you will see, it’s completely Free to join, you get 2 free websites and access to the first stages of the training with no pressure to commit to any monthly subscription. You also get access to me, where I will always be available to answer your questions and help you out. I hope you found this post of use and if you have any questions or comments please leave them below and I will respond to you as soon as I can. It’s surprising how many bloggers over look keywords research in writing their blog post. I personally believe, there’s no need to write content if there’s no audience for your content. Therefore, it’s important to research about keywords, and write blog post based on keywords with a healthy search volume and low competition. I also make use of jaaxy software for all my keywords research, and the experience has been amazing! Hi Louis, thanks for your comments. You are absolutely right, there is no point in writing content that doesn’t have an audience. The key thing is to find an audience with as little competition as possible. Using Jaaxy is something that should always be considered as the way it shows results is fantastic and easy to read. Hello. I am a blogger and I understand the importance of keywords to the success and popularity of a site both in driving traffic to the site and for it’s earning potential. Currently I use Jaaxy for my keyword service and it has worked well for me and has been worth the price. This is a well thought out article, kudos. Thanks for the great feedback. You are definitely doing the right thing by using Jaaxy as a keyword tool. One thing I always do when using any keyword tool is to cross reference the results in Google itself as ultimately this shows the true results as far as traffic and competition is concerned. Thank you for this post. This is more or less like a refresher course to me. 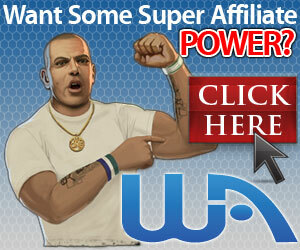 I am into affiliate marketing but yet to have a good grip of this businesses. After few year of ups and downs, I got to know that a continual search for knowledge to improve your niche is very important. Thanks for the great feedback, I’m glad the post was of use to you. It cannot be expressed enough just how important keyword research is if you want to rank organically on the search engines. This article has opened my mind to the importance of keyword research. You have rightly noted it that blogs are not ripe enough without great contents. And good keywords sets the ball rolling for great content. Through this article, I have been able to learn more about what keywords are, best ways to research keywords ,the jaaxy’s way of keyword research. I’m also elated knowing that Wealthy Affiates is a great centre to get more training on Affiliate marketing and blogging.